Bella’s heat did not come until she was 9 months old. I bought all kind of “protection”, I was vigilante with them to avoid pregnancies, but the hormones beat me to it. One morning, around 4AM, I got up to go to the bathroom, and they there were mating…, I could not believe that they managed to remove all the “protection” I had on Bella, and they just got together to make babies!!! There were right there, in the X-Ray image, 4 beautiful babies to come…, well we assumed the pregnancy and were delighted with the birth of those little guys. 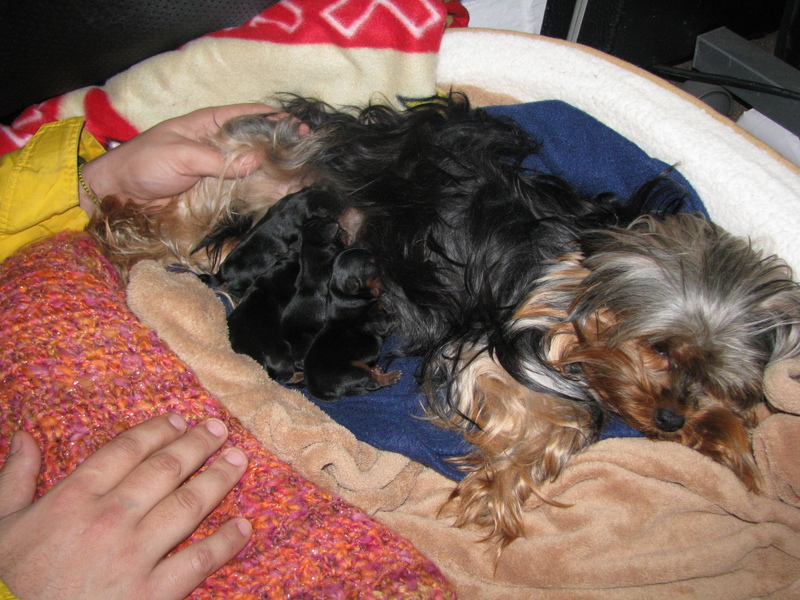 Bella spent the pregnancy sleeping… One night I heard leaking and leaking sounds, and I had no idea what was happening, when I turned around, I could not believe the she was having the babies!!!. I screamed and called my son and my husband to come and see, we were all fascinated with the scene!!! The babies came so easily, one every 30 minutes, she was so motherly, like if she was a veteran mother, she knew what she had to do, it was just amazing how she took charge of the situation!!!. 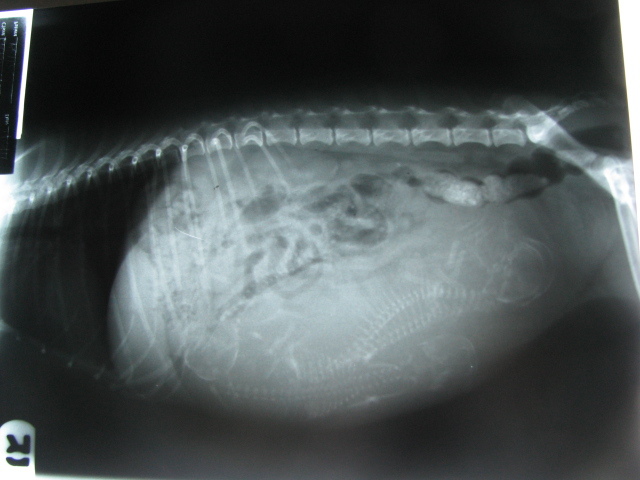 Every time a puppy was born, she ate the placenta and cleaned it thoroughly. Right after she had finished with one puppy, the next one was born…, nature is so wise!!! She had enough time to do her job between puppies… and she was so brave!!! I have been living in NYS for 8 years, and I was not able to find friends, real friends. Though I enjoy being by myself, after 8 years of loneliness, I decided to by a small dog. I never had small dogs before, so I was not sure of what kind I wanted. 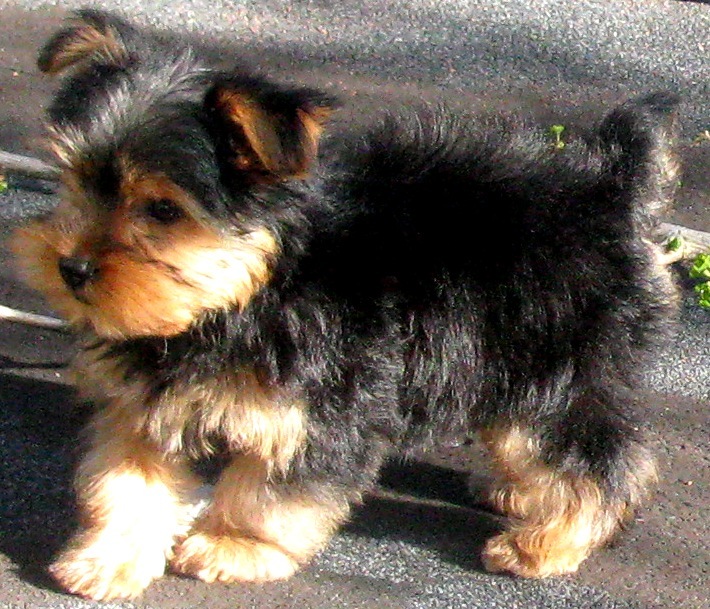 Almost like magic, I went to a doctor’s office, and one of the staff members had Yorkshire Terriers for sale. When she offered them to me, I thought it was a sign, so I decided to buy one of them. When he was 4 months old I took him to education classes, where he showed not only how smart he was, but how much he wanted to please me, so he became the best of the group. He always did what he was asked for, very fast and very happily. He want thought the levels I, II and III. He was so good in his classes that I decided to try agility classes, and to my surprise, he not only was great, he loved it, he enjoyed his classes!!! 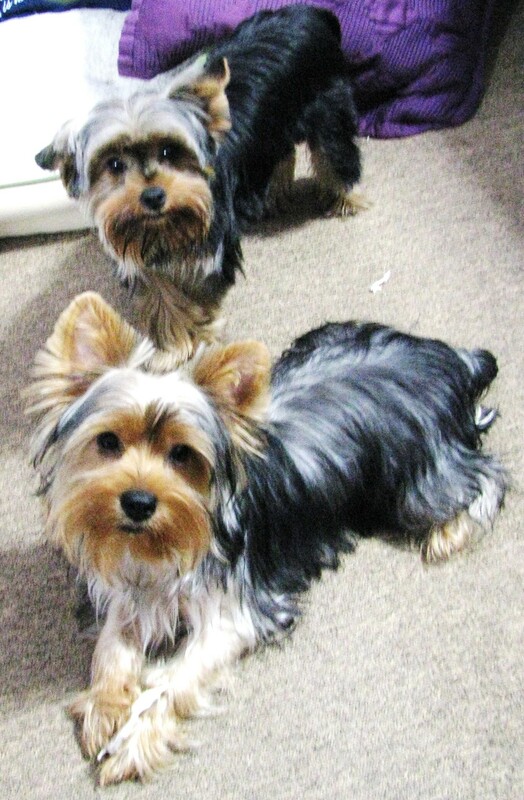 This beautiful Yorkie brought so much happiness to my house, I treated him as a baby, I gave him so much love and attention… Nothing was too much for him, however, this little baby, was feeling lonely, I felt that he needed a friend. So when he was 6 months old, I took the decision of getting him a companion. I was very sad because I saw Joey lonely, and I could not give him all the companionship that he needed, so I decided to find him a friend. I really wanted a male friend to avoid procreation, but no other males were for sale. 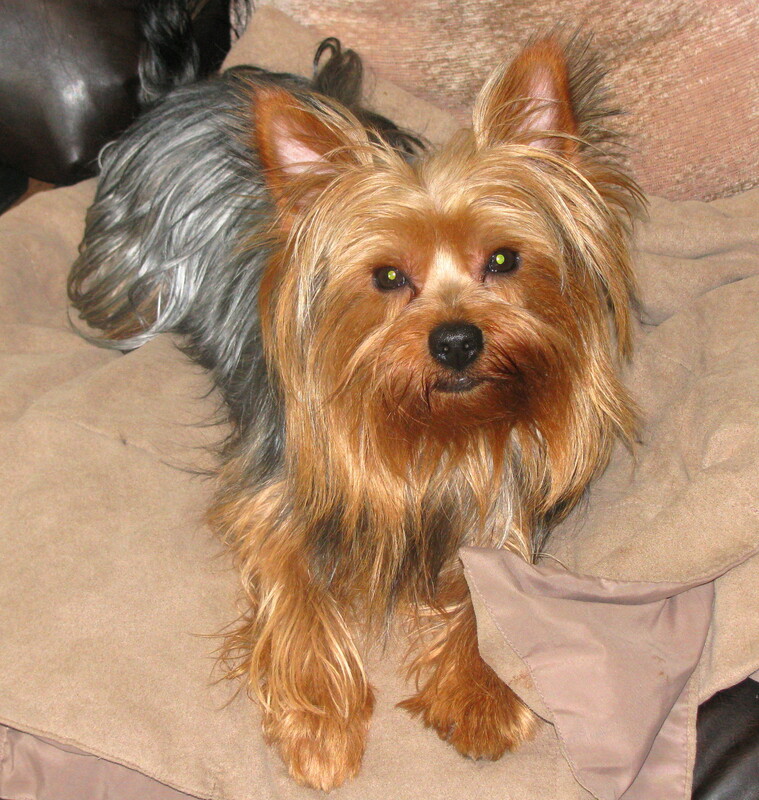 I thought I was going to be able to control reproduction, so I decided to to by the female Yorkie that was for sale. Her name is Bella, she was already 6 months old, so it was more difficult the process of adaptation to her new environment, thought we tried very hard to make her happy, and confident. However, she did not have the same outgoing temperament that Joey had, so it was not as good as I thought everything was going to be. 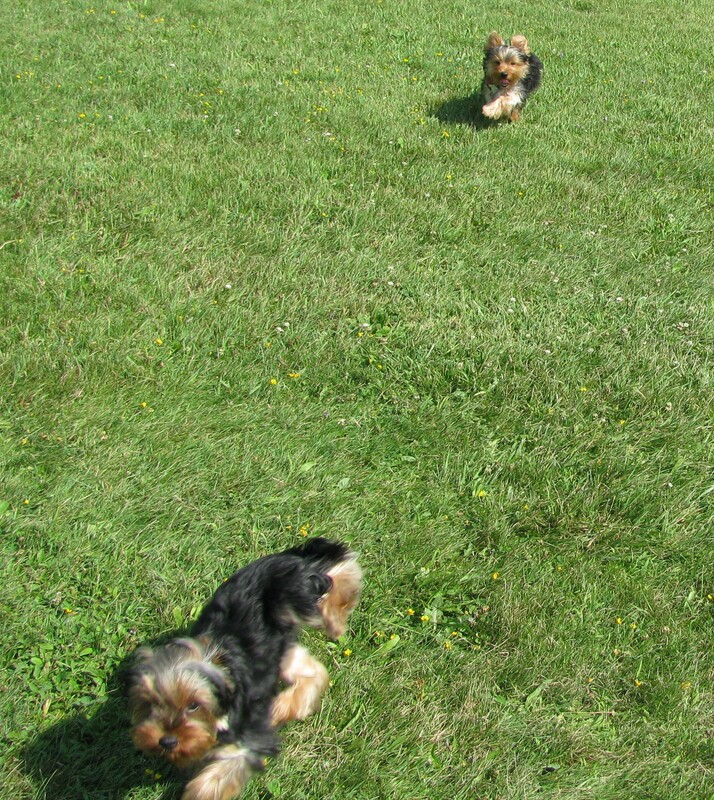 I used to take them to a very nice dog park nearby, and they used to enjoy it very much. However, it was very obvious that she was a shy dog, in comparison with the outgoing Joey. They have become really good friends but they are like yin and yang. She is soft, shy and feminine and he is outgoing, dominant and strong.